Here's Jeffri. 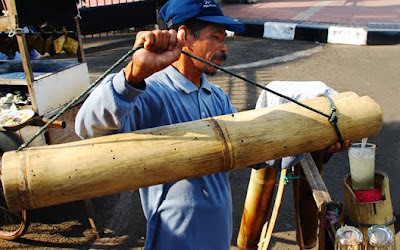 He makes a living by selling glasses of sugar palm sap at the Senayan sports ground in Jakarta. What you can't see from this photograph is that that his cigarette-smoking swagger is masking the strain from suspending a wooden plank with four heavy panniers of liquid across a single shoulder. 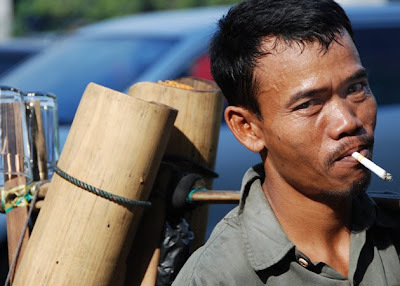 The sap is collected directly from the arenga palm tree (pohon aren) in the four long bamboo tubes Jeffri carries with him each day. 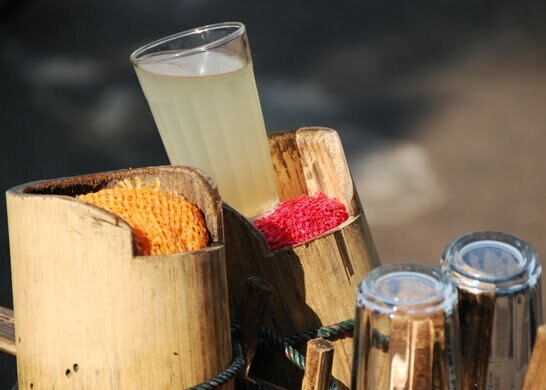 "I carry all this over five kilometres a day," said Usri, an older palm-sap drink seller, indicating the wooden plank with its four bamboo vessels, four upended drinking glasses, and a small black plastic washing-up bucket hanging from a nail. "This is my salary." 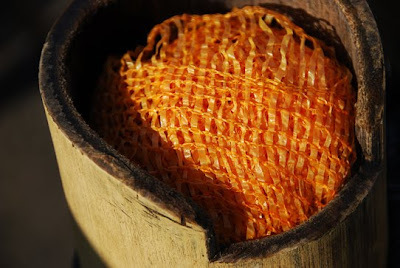 Usri filters the raw liquid through a bright orange mesh which stoppers the bamboo cylinder. The sweet sap requires no processing and can be drunk straight from the tree. 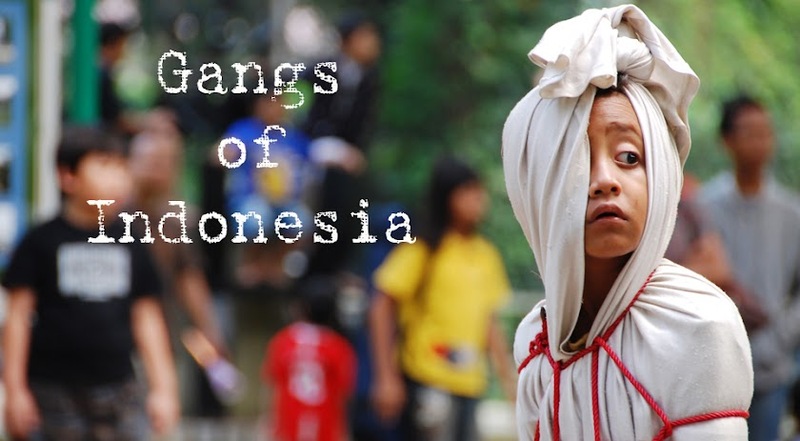 It can also be fermented into local moonshine. It smells and tastes a bit like warm glue. The fact that it tastes like warm glue explains why, not only is it tasty, but it also gives me a nostalgic feeling for my elementary school days.